It’s been great to have some free time on weekends again! Rich just laughs when I pack up my camera and head the ten feet or so out the back door to my bird blind. 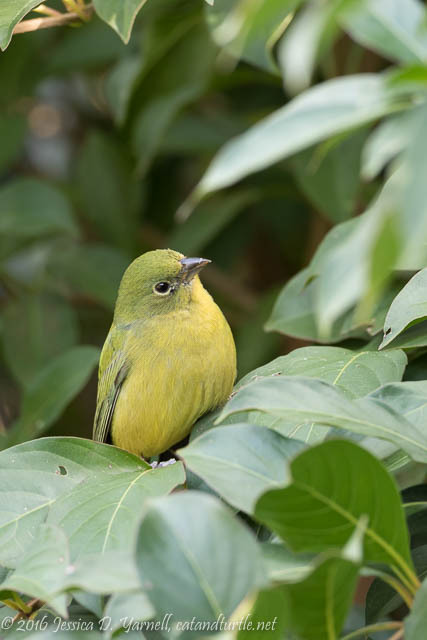 Time flies when you are mesmerized by the little birds flitting from bush to bush! 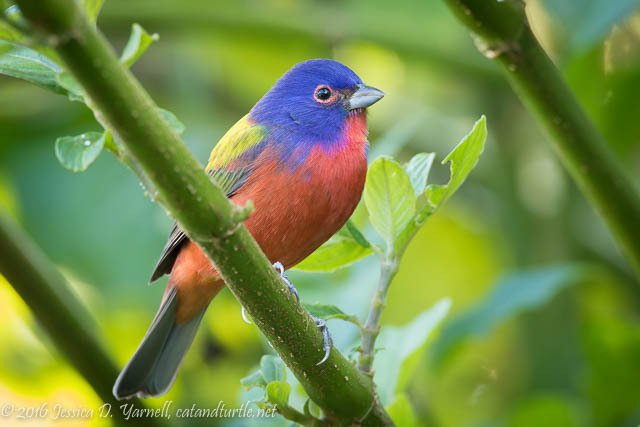 This year I think I have a record number of Painted Buntings. I’ve seen up to four males together at a time, and at least six and maybe up to ten “greenies” (females and juveniles). It’s getting to be the time of year when you can start to tell the females from the juvenile males, who are starting to molt into their adult colors. When a greenie has a faint blush of blue, you know he’s a male! 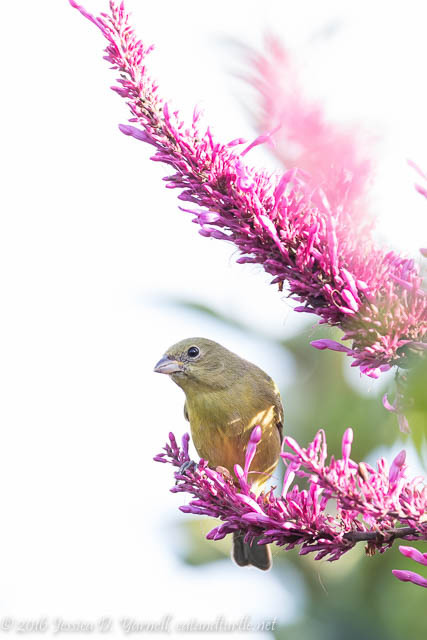 The Painted Buntings love the purple firespike bush in the corner of my yard. It’s conveniently located right next to the bird blind! :) They like it because it’s loaded with nectar. Watch the little video below – the birds land on the flower, then grab pieces to get at the nectar within. I’ve found it interesting to observe that the “greenies” spend most of their time in my purple firespike, where they blend in very well. The males are more likely to fly across the yard into my red firespike, which helps to camouflage them as they feed. Nature is pretty smart! Here I had to dial in a ton of exposure compensation as I photographing the bunting against the blue sky in the bright afternoon sidelight. I like the dreamy feeling of the image. The little greenie didn’t seem to mind the winds that day that blew him up and down, left and right as he enjoyed his flower. 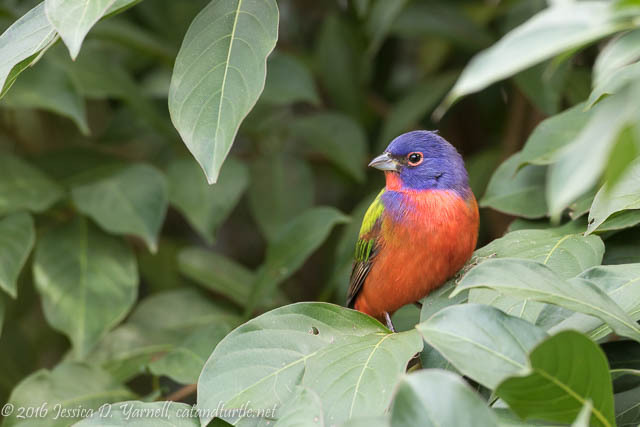 What fantastic photos of these sweet little birds. Great images Jess. I wish they would visit my yard. You’re very talented! I love your pictures, keep ’em coming!